Peak bloom was observed on March 25, 2016. The peak bloom date is defined as the day when 70% of the Yoshino Cherry (Prunus x yedoensis) blossoms are open. Peak bloom varies annually depending on weather conditions. The most likely time to reach peak bloom is between the last week of March and the first week of April. Extraordinary warm or cool temperatures have resulted in peak bloom as early as March 15 (1990) and as late as April 18 (1958). The Yoshino trees typically bloom for a period of several days. 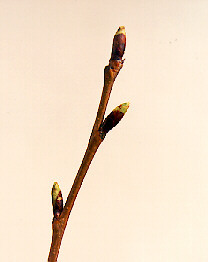 The length of the blooming period depends on weather conditions. Cool, calm weather can extend the length of the bloom, and a rainy, windy day can bring an abrupt end to the ephemeral blossoms. A late frost can prevent the trees from blooming at all. Forecasting peak bloom is almost impossible more than 10 days in advance. The cherry trees' blossom development is dependent on weather conditions, which are inherently variable. 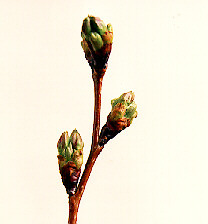 National Park Service horticulturists monitor bud development and report the status of the blossoms. The following table shows bud development data for Yoshino cherry trees, the most common trees in the park. 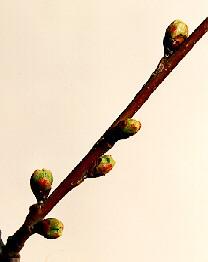 *Please note: Dates reflect when 70% of the Tidal Basin cherry tree buds have reached the designated stage. You may see individual trees reach the designated stage before the date is posted.